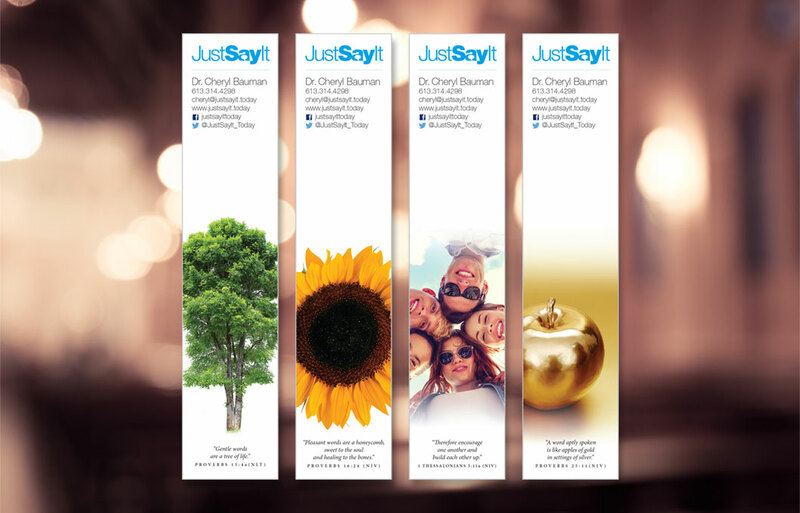 While you pore over Dr. Cheryl’s books in the Just Say It series, you may want to keep track of where you’ve left off with these beautiful bookmarks. Each bookmark contains Dr. Cheryl’s contact information and where you can follow her online. As well, there is a beautiful illustration and a hand-picked Bible verse from Dr. Cheryl herself, reflecting on the themes she covers in her book series. Download the bookmark PDF (1.4 MB) and print it out on your own selected color printer. You simply need to cut the bookmarks yourself with a knife or scissors. Download. Print. Cut. Mark and Share.